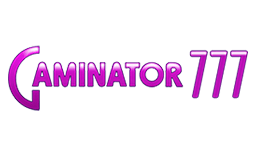 Gaminator slots are a whole generation of video slots and slot machines, which are popular not only in online casinos, but also in land-based gambling establishments. The Novomatic Group, or simply ‘Gaminator’, is the largest gaming company in Europe. It has more than 28 thousand of qualified specialists in the sphere of the development of gaming technologies. The Novomatic offices are situated in 50 countries, and Gaminator casino software and lotteries are exported to more than 80 countries. Novomatic (Gaminator) manages 235 thousand gaming terminals and VLT systems. Novomatic Group is a full-cycle provider, and its online casino gambling system includes online and mobile solutions for online casinos, as well as hosting and service support. The company’s focus on high standards of gambling, brand values and innovative technologies make it a reliable partner and distributor of gaming solutions for online casinos. Novomatic Group provides its products exclusively for regulated gambling markets with a clear legal framework. The main lines of cooperation are: the member-countries of the European Union, as well as Central, Eastern and South-Eastern Europe. In these countries, the online casino gambling system for from Novomatic maintains a leading position. Also Novomatic Group is expanding towards Latin America, Asia and the USA. Over the past 4 years, the company's employees have adapted some of their products to these prospective markets. Novomatic is considered to be the "fashionist" in the development of gaming equipment and online casino software. A competitive advantage of Gaminator lies is a variety of services: software development, provider services and the Novomatic's activity as an operator. The company's specialists work on the main products of the global gambling industry: server, downloadable and mobile games. The provider does not only develop online gambling software for entertainment. Gaminator also helps the European organization “Responsible Game”, which deals with the problem gambling, in every possible way. It was the Novomatic company, which has put forth an idea of the responsible gaming and created a unique access system for the protection of minor players. Since 1980 the company is developing equipment for gaming slots of land-based casinos. In the portfolio of Gaminator there are already more than a dozen systems for gaming terminals. CoolFire ІІ-s – very powerful online gambling software in terms of sound effects and graphics, and exactly this platform is maximally protected. You can purchase any of these platforms or several of them at once. Video slots developed on this online casino software are adapted for software and mobile gadgets. Considering the fact that more than a half of the casino traffic is received via mobile devices, it is very important to work with adaptive products. The Novomatic online casino gambling system will allow your customers to play games from any device – this is another competitive advantage of Novomatic. The company Greentube is a global interactive division of Novomatic Group and a developer of online and mobile games. 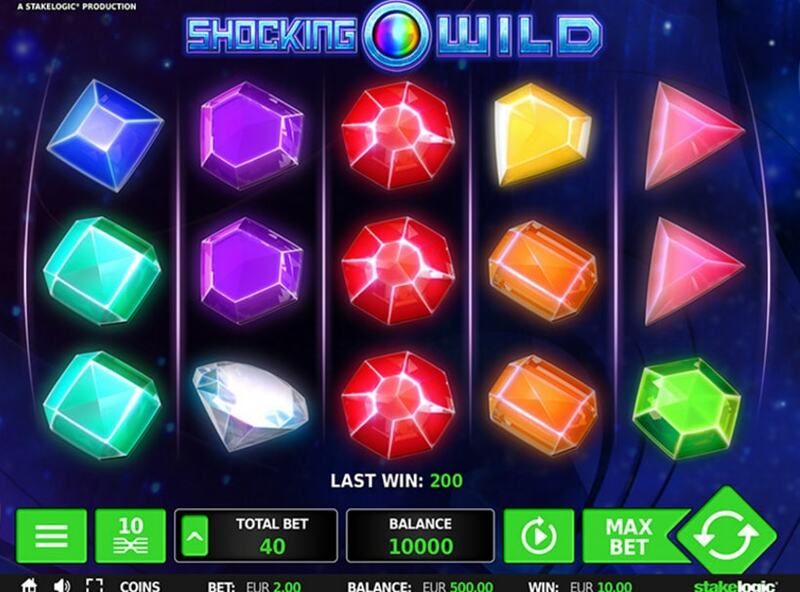 The aim of this department is to create modern games for online casinos, and also to integrate interactive developments into the land-based gambling establishments. Greentube uses multi-channel technologies, which allows the brand to expand its portfolio of games. The product line includes: table games, video slots, AWP-machines, bingo and many other types of gambling. Serengeti Heat. This is a 5-reeled slot where you can win 96 free spins. Snake Rattle & Roll. It is a video slot with a tropical theme. You can use 20 paylines to form winning combinations. 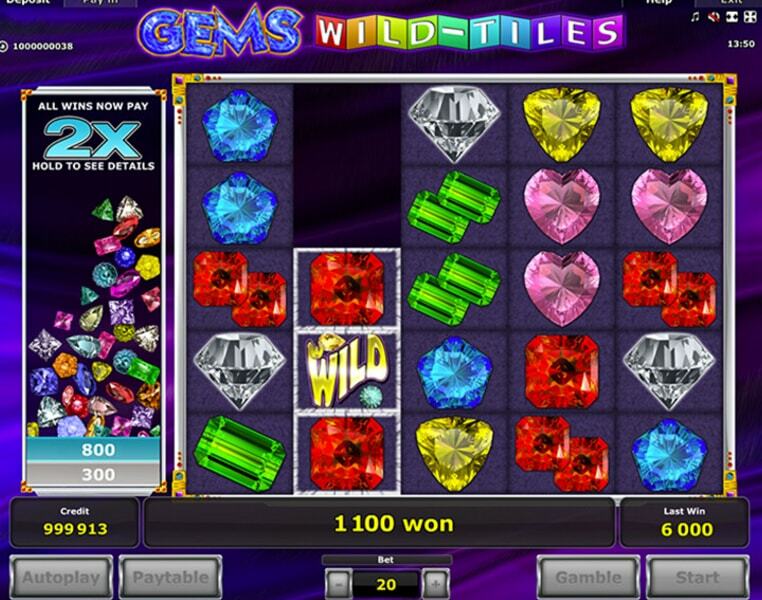 Gems Wild Tiles. A game where jewels are the symbols, which appear on the reels. Shocking Wild. This is another slot machine with the jewelry theme. 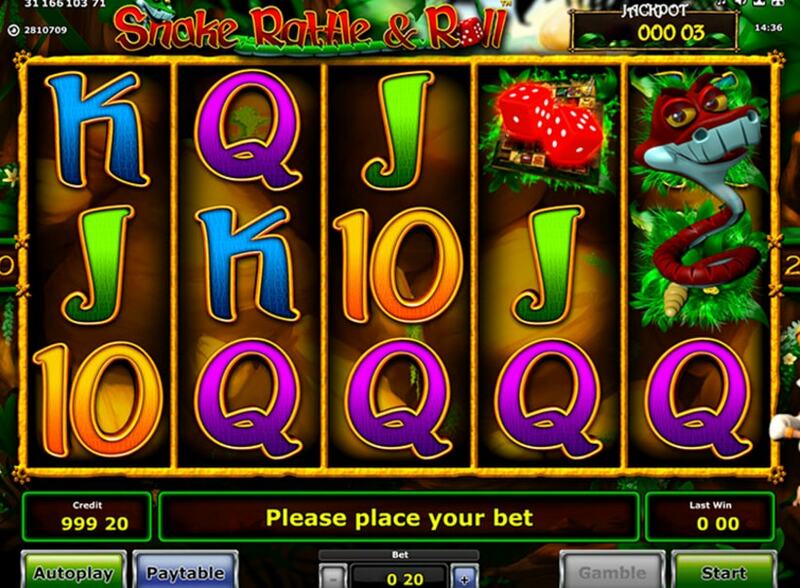 This video slot has a high quality graphics and an intuitive interface. Magic Jester. The main symbol of this slot game is the Joker. 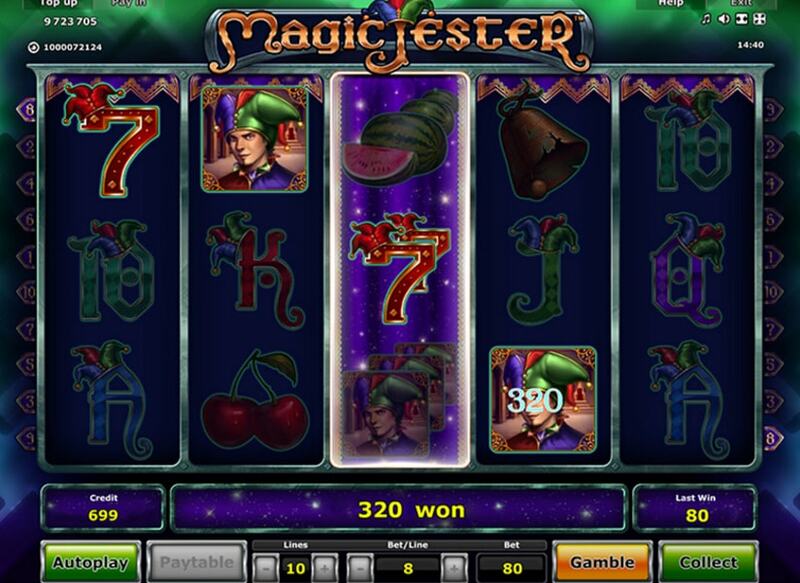 Double and even triple symbols may appear on the reels, and it increases the amount of winnings. Asian Attraction. 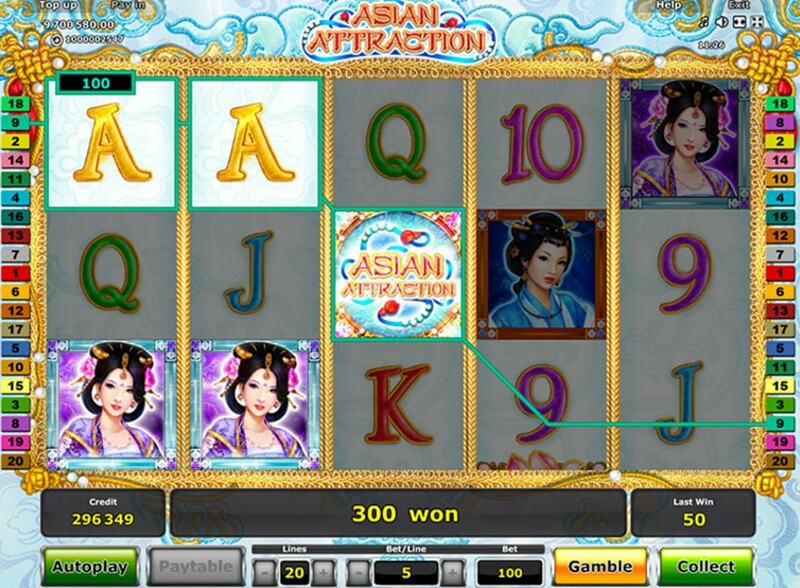 A nice slot with beautiful animated graphics. Symbols of the game are made in the Japanese calligraphy style. Kingdom of Legends. This slot machine deserves a special attention, because players can get 9 jackpots. The number of gaming elements is impressive: in addition to classical ones, there are 9 special characters here, which open the way to big wins and jackpots. Dynasty of Ra. 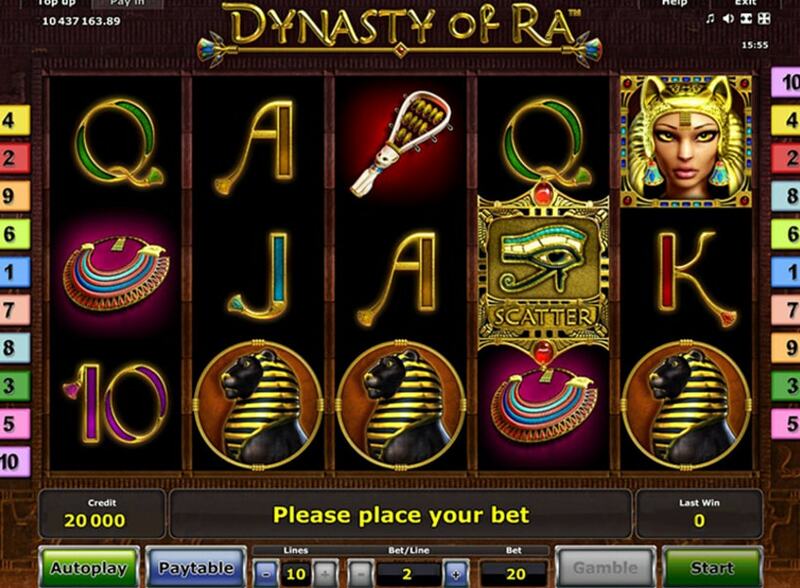 A classical slot machine with a theme of the Ancient Egypt. The main symbol of the game is the daughter of the god Ra, the goddess-cat Bast. 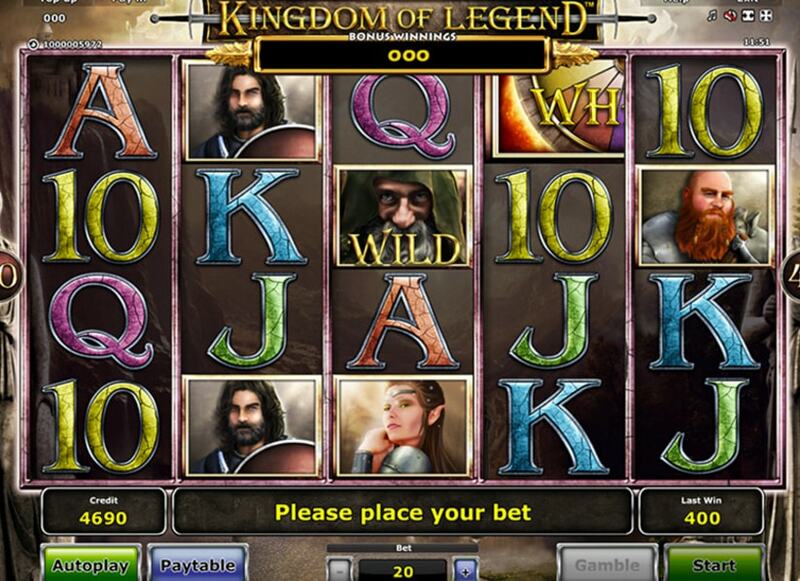 In this slot game there is also a symbol that combines the capabilities of wilds and scatters. 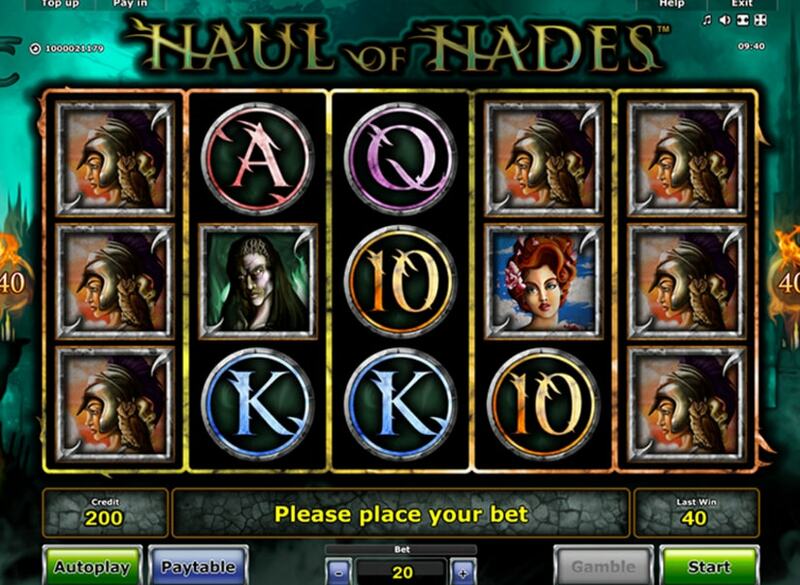 Haul of Hades. This video slot was created in the ‘horror’ style. It consists of 40 paylines and 5 reels. 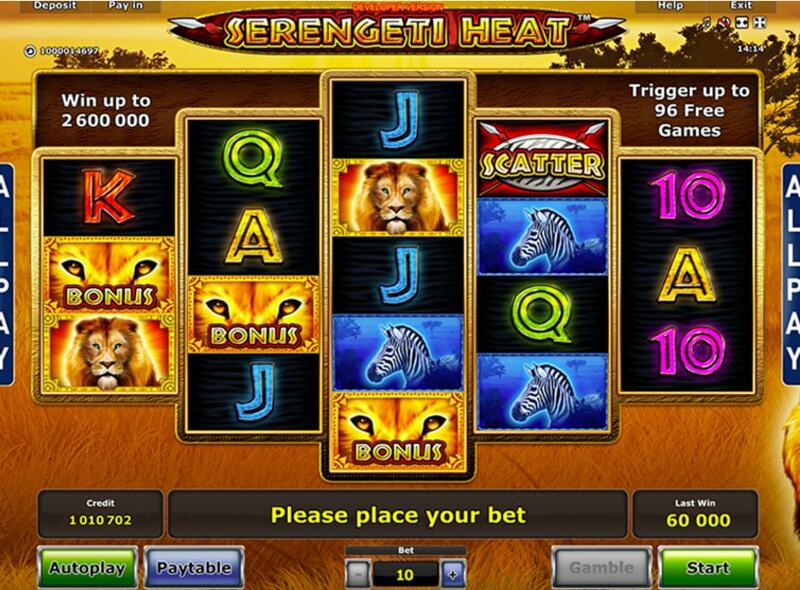 This kind of slots brings good income to online casinos, as users place large bets. The volatility of this game is below the average. Games from Novomatic (Gaminator) is a whole world, which attracts different players: from those who play "for sweetie papers", to high rollers who place big bets. Novomatic is a vivid representative of the culture of online casinos. The title itself attracts customers with its prestige and a dominant name. In addition to colorful video slots and games Gaminator can offer professional online casino software. If you want to work on the best platforms from a reliable supplier and provide your customers with a unique gaming experience, we recommend you to buy Gaminator casino software – it will surely lead your business to success.